Bleeding gums are usually caused by poor oral hygiene practices. The accumulation of plaque and calculus on teeth and around your gums causes irritation and inflammation of your gums. This inflammation of the gums makes them prone to bleeding. This bleeding can be reduced and eliminated through regular professional dental cleaning and good home care with correct toothbrushing and flossing techniques. Can pregnant women have dental treatment? Pregnancy creates many changes, and your dental health is one of them. Regular dental visits both before, during and after pregnancy, are recommended to ensure that your gums and teeth are healthy and ready to support your body and baby during pregnancy. As many women experience bleeding gums during pregnancy, visiting the dentist regularly for a hygiene appointment including a scale and clean is imperative to your overall health. If you need treatment beyond a hygiene visit, such as fillings or more complex work, this can usually be postponed until after pregnancy. However, if there is dental care that a pregnant woman needs and treatment cannot wait, we can ensure it is done with minimal risk. Consultation with a woman’s physician also helps minimise risks. To read more about pregnancy and oral health follow this link. Impacted wisdom tooth (wisdom tooth is erupting at an odd angle) and may have gum covering part of it. At Drummoyne Dental Practice, most wisdom teeth can be removed in our rooms. Can I be "put to sleep" or "knocked out" to get my wisdom teeth taken out? A common question asked by most people when considering having their wisdom teeth taken out is "can I be put to sleep?" or "can I be knocked out?". The answer is yes. At Drummoyne Dental Practice, we offer Intravenous Sedation (IV Sedation) to patients who may be quite anxious about the procedure and prefer to have no memory of the procedure after it has been carried out. IV sedation can be used when performing other dental procedures as well. It is not just limited to wisdom teeth surgery. To learn more about this service, please visit our page on Sedation. You should take your child to see a dentist when they get their first baby/milk teeth. Bringing them to the dentist when they are young and have few or no dental problems will make their experience at the dentist more pleasant and ensure they do not develop dental fear/anxiety in the future. Good oral hygiene habits and preventive measures are best instilled from an early age. Does Drummoyne Dental Practice see patients under the Child Dental Benefit Schedule (CDBS)? How often should I visit for a checkup and clean? It is advised that you visit once every 6 months for a checkup and clean so that if any dental problems arise they can be tackled early and fixed easily. Plaque, tartar and staining usually build up on teeth again within 6 months and require professional dental cleaning for removal. If you are suffering from a more serious dental condition then it may be suggested to visit the dentist more frequently. 6 months may seem like a frequent period of time, however it is 182 days in which plaque can settle into hard to reach places and start forming into tooth decaying tartar which affects both your teeth and the gums they rely upon. If plaque and tartar exist and you leave it on your teeth and under your gums it will dramatically increase each month. Tartar provides a breeding ground for plaque forming an environment where exponential growth is common. 182 days is plenty of time to form a colony of bacteria in your mouth. However, all people have different teeth, gums and dental care habits… therefore some people need to come more often, others less often. 6 months is a guide to all patients looking for optimal dental health, however your dentist will be able to inform you about your specific needs. At Drummoyne Dental Practice, we have a regular recall system in place to remind you when you are due for a checkup. Everyone is unique and this includes the shape and form of their teeth as well. Some people have deep pits and fissures as a part of their normal tooth anatomy. Other people have shallow pits and fissures as part of their normal tooth anatomy. Those who have deep pits and fissures tend to get food debris and plaque trapped in these fissures and have difficulty cleaning out these fissures due to their depth. Over time, this may lead to decay forming within the fissures. In these cases, a fissure sealant can be placed into the deep fissures to make them more shallow and prevent food/plaque trapping and thus prevent fissure decay. What is a dental implant and is it painful? 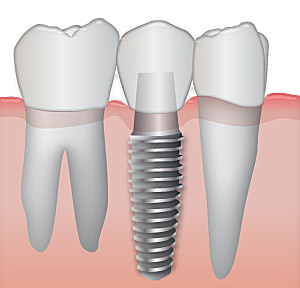 A dental implant is an artificial tooth root which is implanted into the jawbone to support restorations. It is the ideal replacement for missing teeth provided that you have good quality and quantity of jawbone present at the site of the missing tooth. When you are missing a tooth, your jawbone in that area shrinks over time. Having an implant placed in the area will prevent this bone shrinkage and allow preservation of your jawbone. The placement of an implant is not painful as it is performed under local anaesthesia so the area will be numb. What is root canal and is it painful? When teeth are involved in trauma or become painful due to large decay, the nerve inside the tooth is often affected (nerve may be dead or infected). In this case, root canal treatment is required in order to save the tooth and eliminate pain. Root canal involves the removal of the dead or infected nerve from inside the tooth. Local anaesthetic is used before root canal treatment to ensure that the procedure is comfortable and pain free. It is suggested that x-rays are taken once a year to check in between your teeth, underneath/around existing fillings to ensure that there is no new decay present. Decay in these areas are not visible when simply looking in the mouth, so x-rays are a good idea to detect any hidden decay. X-rays are also useful to check that the bone levels around your teeth are normal. Drummoyne Dental Practice offers digital radiography, which means less radiation exposure than with traditional radiography. Should I consider having all my amalgam fillings replaced? At Drummoyne Dental Practice, amalgam replacement and removal is done under high speed suction in order to reduce exposure to mercury vapour in the process. 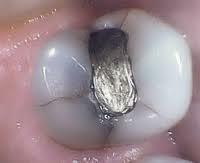 The use of rubber dam greatly reduces the patients exposure to mercury vapour and is used in all our procedures. General dentistry covers the diagnosis, treatment and overall coordination of services to meet your oral health needs.